I am so excited!!!! I am getting on a plane headed to Southern Oregon for the 9th annual Ashland Culinary Festival and I’m putting my judge hat on over the weekend. But first I’ll be putting my teacher hat on, and there will be an Apple Pie Jars hands on class. Students will learn the tips and tricks to a perfect pie! But for those of you who can’t join me, there is this recipe, and it is oh so good. I made pies in jars a while back and got amazing comments about the jar thing. People love pies in jars, why not make these for Thanksgiving or Christmas, or a holiday gathering instead of the traditional pie? They are so pretty, and easy to make a couple of days ahead of time. I already have my meal making plan for Thanksgiving, the grocery list, and what days I’ll be cooking what, plus what I am having other people cook too. I am making my family help me this year, two years running! I am very proud of that, letting the reigns go a bit. I know, it’s about time. But Thanksgiving is my favorite American meal of the year! These work beautifully on the menu for this year and I really can’t wait to share them with you and the good people of Ashland. I love teaching people how to make pies and have done many posts, tv shows, and classes for pie makings. It seems to be a touchy kitchen subject among people. I’ve found people either are fearless about it or totally fear the whole idea of making pies. And it is literally one of my favorite things to make in all forms. So here is one of my posts with many tips on pie making. As always, please ask me if you have any questions! Making pie doesn’t need to be a big huge scary deal. And it helps to make things ahead of time to alleviate the stress about it. Plus this is an easy way to pie. There is a buttery graham cracker crust on the bottom versus a pastry dough. And this crust is butter to die for good. Add crisp sweet apples on top, bake a bit and voila dessert! It tastes like a traditional apple but made easier. I like a homemade whipped cream topping, but equally a creamy mascarpone tastes amazing. 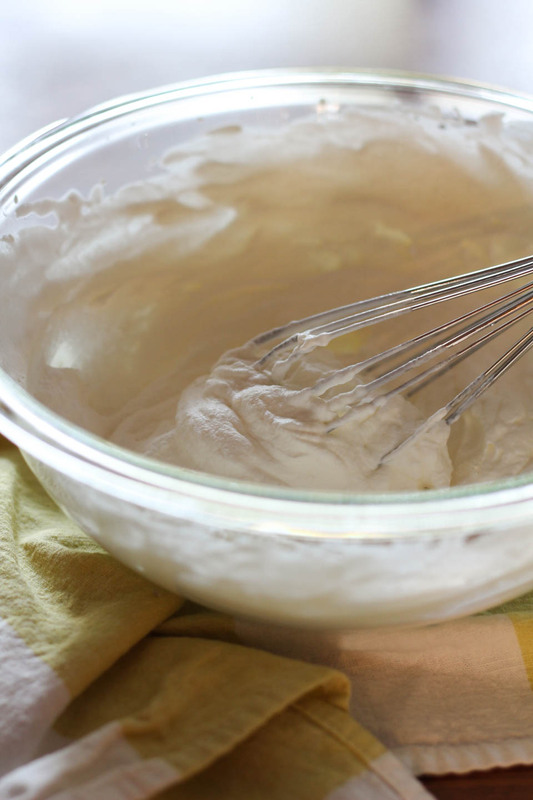 If you’re looking for a lighter touch, go with the whipped cream. 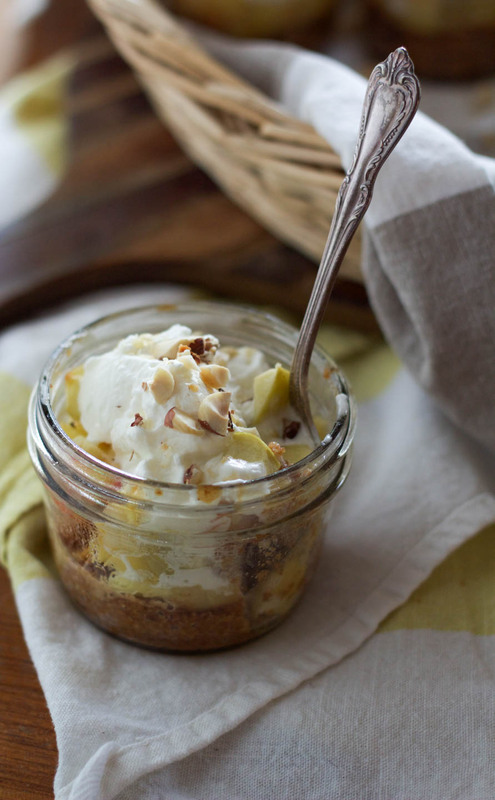 Either way, you can’t go wrong with a personal apple pie jar! 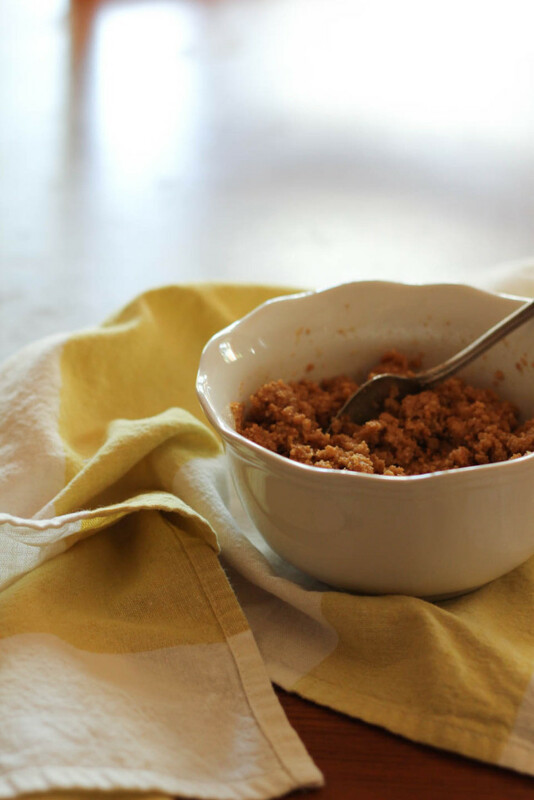 Place graham crackers in a food processor or blender, mix on high until finely crumbled. Place crumbles in a medium bowl, add melted butter, use a spatula to combine. 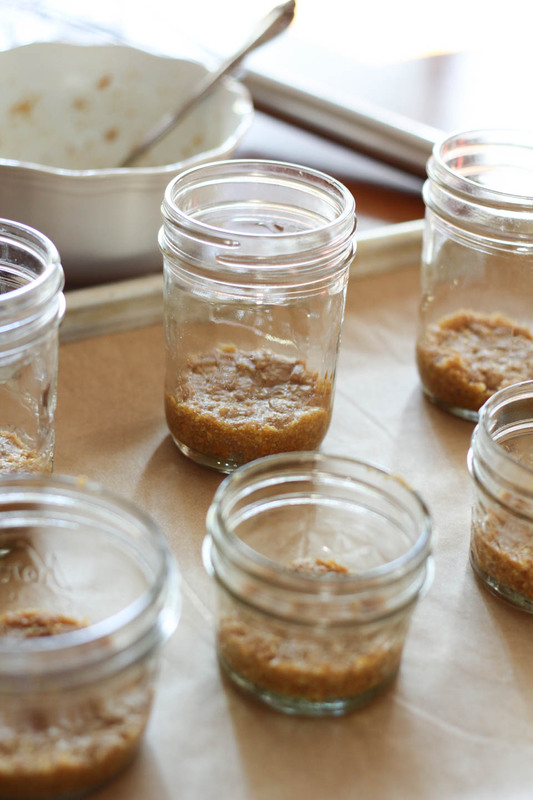 Place 3 tablespoons of the graham cracker crust in the bottom of the mason jars. Press down using the end of a whisk. Place jars on sheet pan, place in oven and bake for 10 minutes. Work on apple mixture while crust bakes. 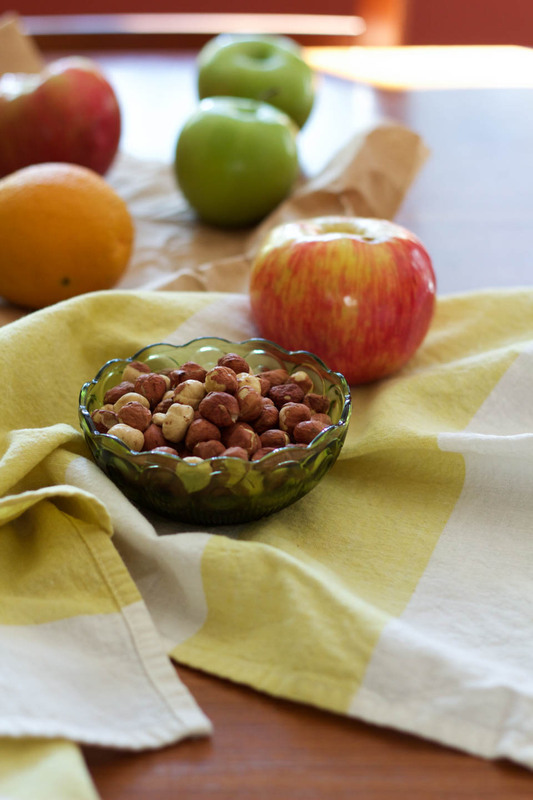 Place chopped apples in a large bowl, add orange juice, mix to combine. Add flour, sugar, cinnamon, and salt, mix to combine using a spatula. 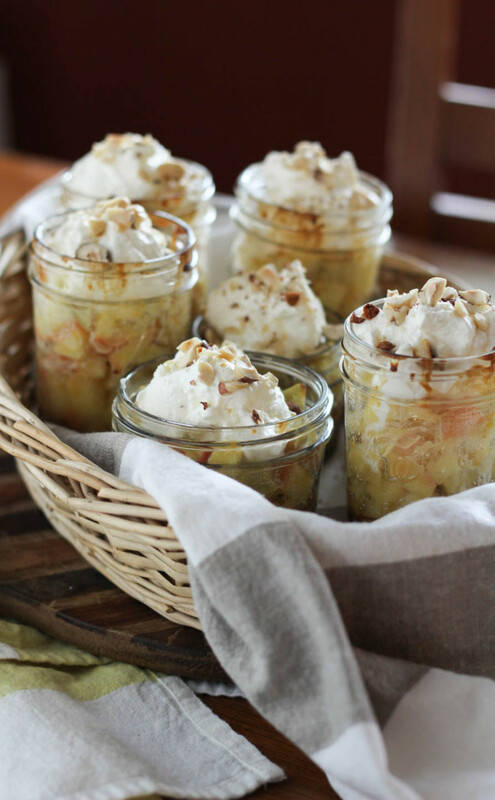 Stir apples to combine well before adding a 1/4 cup to each jar, if any mixture left, add evenly among jars. Place back in oven for 20 minutes. Remove pies from oven and allow to cool for 30 minutes before serving. You can make these up to 2 days in advance and store in fridge. If making ahead of time, remove pies from fridge and allow to come to room temperature for a couple of hours on the counter before serving. Serve pies with whipped cream or mascarpone topping, then sprinkle hazelnuts on top. Great to get to know you last weekend. Hope you enjoyed judging as well as leading the workshop. Please send me you email so I can send you photos. Hi Graham! It was so nice seeing you again this year. I am so happy to have gotten to chat more this year. I’d love the photos! fabiola at not just baked dot com.